"Anything which helps smokers to avoid heart disease and cancer and lung disease is a good thing and e-cigarettes can do that," said Peter Hajek, study co-author and an addiction specialist at Queen Mary University of London. WASHINGTON (AP) — A major new study provides the strongest evidence yet that vaping can help smokers quit cigarettes, with e-cigarettes proving nearly twice as effective as nicotine gums and patches. Electronic cigarettes, which have been available in the U.S. since about 2007 and have grown into a $6.6 billion-a-year industry, are battery-powered devices that typically heat a flavored nicotine solution into an inhalable vapor. Most experts agree the vapor is less harmful than cigarette smoke since it doesn’t contain most of the cancer-causing byproducts of burning tobacco. But there is virtually no research on the long-term effects of the chemicals in the vapor, some of which are toxic. At the same time, there have been conflicting studies on whether e-cigarettes actually help smokers kick the habit. Last year, an influential panel of U.S. experts concluded there was only “limited evidence” of their effectiveness. Smokers in the e-cigarette group received a $26 starter kit, while those in the nicotine-replacement group received a three-month supply of the product of their choice, costing about $159. Participants were responsible for buying follow-up supplies. U.S. health authorities have been more reluctant about backing the products, in part because of the long-term effects are unknown. The delay has come under intense criticism amid an explosion in teenage vaping, driven chiefly by devices like Juul, which resembles a flash drive. 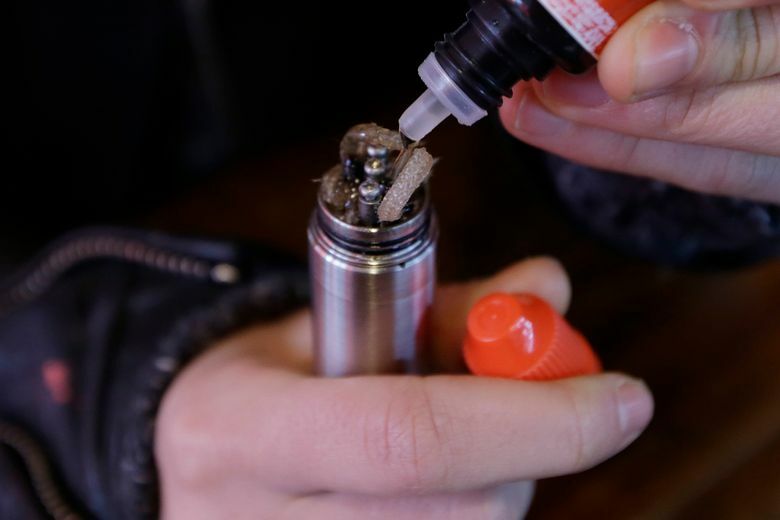 Federal law prohibits sales to those under 18, but 1 in 5 high school students reported vaping last year, according to a government survey. It showed teenage use surged 78 percent between 2017 and 2018. Matthew Myers of the Campaign for Tobacco-Free Kids noted that the British study used so-called tank-based e-cigarettes, which allow users to customize their flavors and nicotine levels. Those devices have largely been overtaken in the U.S. by Juul and similar devices that have prefilled nicotine cartridges, or pods. Any benefit of e-cigarettes depends on the individual product and how it is used, he said.